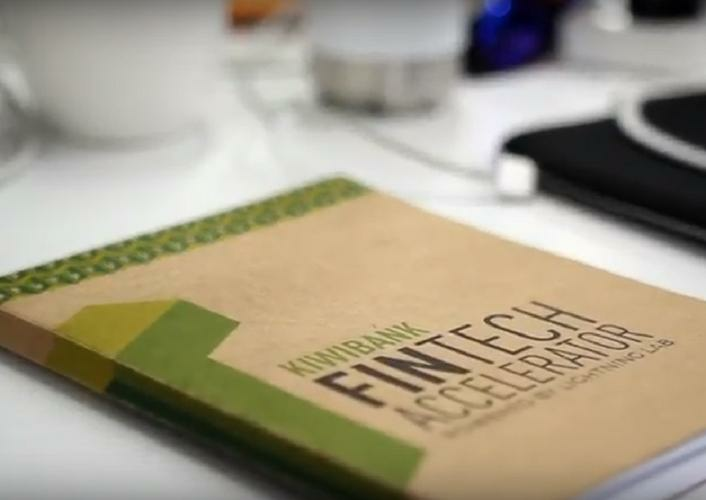 A new cohort of ten developers is entering the Kiwibank Fintech Accelerator this year. Eight New Zealand teams and one each from Singapore and China will take part in the 2018 Kiwibank Fintech Accelerator. The new program follows the inaugural 2017 accelerator, which had a cohort of eight teams including the investment platform Sharesies. Beginning 12 February in Wellington, this year’s cohort will develop technologies ranging from tax systems for freelancers, guidance for informed financial decisions and whānau-based P2P lending. Blockchain technologies, asset management solutions for young people, AI, robo-advice, digital ID and chatbots are also in the mix. In total, 66 teams applied for inclusion in 2018. “We’re thrilled with the high quality of ventures that are taking part this year,” said Laura Reitel, the program director. Both of the overseas ventures are coming into the program for the opportunity to validate their business offerings and to test their products in New Zealand’s progressive economy. They will also be able to offer the New Zealand teams in-depth knowledge into Asian markets. Callaghan Innovation's start-up manager, Elena Higgison, said Kiwi fintech start-ups enjoy a wealth of opportunity. "Growth for New Zealand's 11 big fintech companies in 2017 was an impressive 48.5 per cent,” Higgison said. "That's four-times faster than agritech and 16-times faster than heavy manufacturing." Bot the Builder is changing the way companies communicate, deliver services, and develop relationships with customers. It gives organisations the ability to integrate systems, services, business logic, and APIs into a natural, conversational interface like a chatbot. The rise of crypto currencies and the use of blockchain are opening up new opportunities and challenges for the world of finance. A key challenge is the ability to link digital identity to real world identity in a way that meets regulatory hurdles. Together, Centrality and Kiwibank are exploring this opportunity by developing a proof-of-concept for a digital identity on the blockchain that meets these regulatory thresholds. An alternative to operating regular money transfers, Flowcoin avoids expensive transaction fees by using blockchain technology to record only the start and end of a flow. With HitKey's intelligent smartphone-keyboard technology, consumers can make payments and access other financial services functions within any social or chat applications such as Gmail, WhatsApp, Facebook Messenger, Instagram, Snapchat, and Slack. Hnry is an online service that automates all tax and compliance activities for freelancers, contractors, and the self-employed. They pay and file income taxes, sales tax (GST/VAT), and levies (ACC), as well as provide professional insurances on a pay-as-you-go basis. Read more Has Bitcoin “pretty much failed” as currency? Ilumony is a robo-advice platform helping more people access quality advice and make better financial decisions about KiwiSaver, investment portfolios and cryptocurrency portfolios. Stash is a simple visual management platform for valuable items that offers millennials a customised, fuss-free insurance solution. Tā Koha is a crowdlending platform for Māori entrepreneurs to raise capital by involving their whānau, their communities, and those who want to see an equitable and inclusive funding landscape in Aotearoa. Run by startup and innovation agency Creative HQ alongside Callaghan Innovation and Kiwibank, the accelerator is also sponsored by a group NZ and multinational companies: Mastercard, Ando Insurance, Deloitte, and Simmonds Stewart. The accelerator is a product of the previous government's innovation programme. In 2016, the government announced three new programs, focusing on financial technology, digital technology and energy sectors, would be funded from the $3 million for new accelerators set aside in the Innovative New Zealand package in Budget 2017.